Tags: Antique Map, Asia, Indonesia, Java. 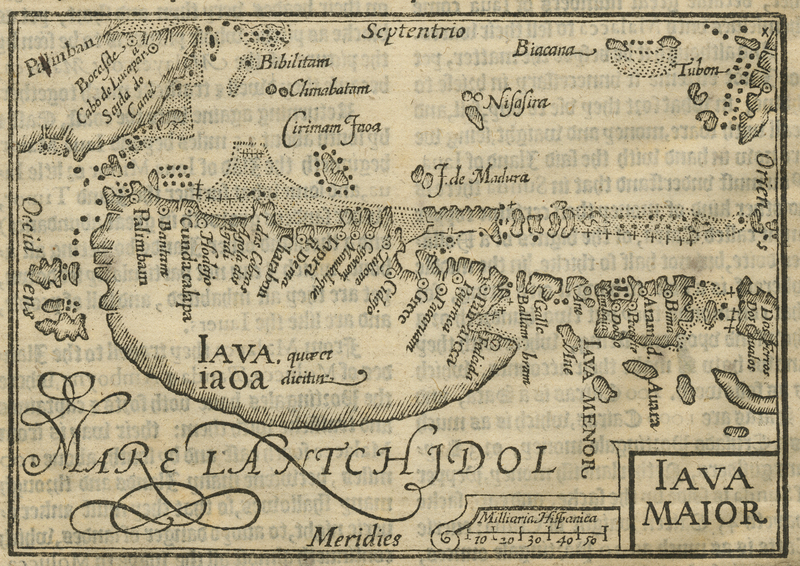 Antique Map Java by Van Linschoten titled ‘Iava Maior’ (Java Major). 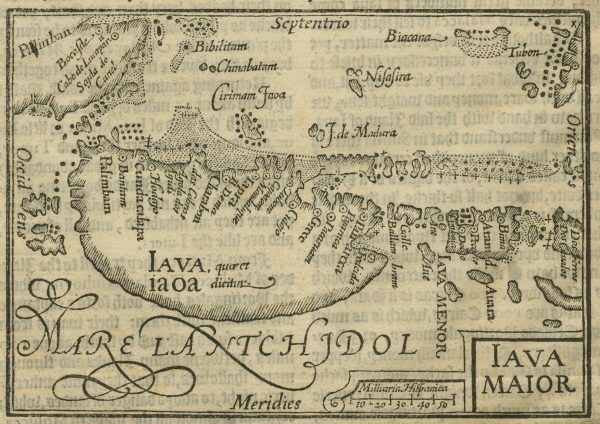 A rare and interesting woodblock map on page with text, from ‘Iohn Huighen van Linschoten his discours of Voyages into ye Easte & West Indies’. The map is based on late 16th century Portuguese charts, and published in the first English edition of van Linschoten’s ‘Itinerario. Van Linschoten was a Dutchman who had spent a lengthy period in Portuguese service in Goa. 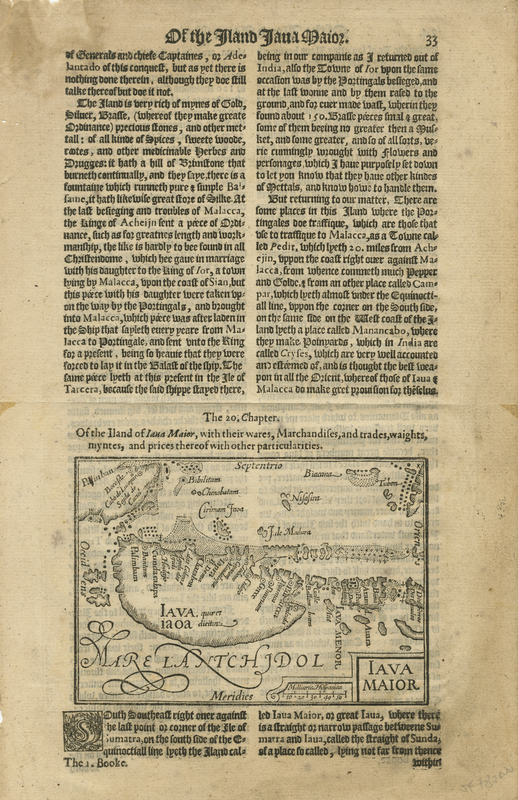 In gathering and publishing higherto unknown information and maps relating to the Spice Islands, he enabled the Dutch and English to challenge the Portuguese monopoly in the East Indies. The placenames on the maps in van Linschoten’s work are in Portuguese, and the last section is a brief history of Portugal, suggesting the possiblity that van Linschoten had perhaps obtained a manuscript copy of the Portuguese geographer Barros’ fabled, incomplete and unpublished work, ‘Treatise on Geography’. Condition: Good – English text on verso. Measures: Map: 126 x 87 mm / Page: 185 x 284 mm.